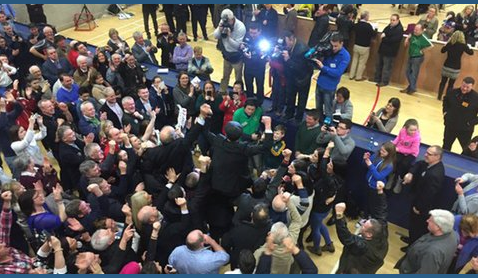 Even if it doesn’t come from Michael D’s corner, there will be at least one more major twist in this election yet. I wouldn’t be surprised if it was around McGuinness, as too many powerful people cannot abide the thought of him representing them. But as long as Michael D keeps on the straight and narrow, the prize will be his. Seán Gallagher almost pulled off the impossible, blazing out of the pack only to fall at the final hurdle in what has been one of the most remarkable presidential races in history. I heard his close friend and PR aide Jack Murray on the radio today saying that Gallagher’s biggest strength – the fact that he wasn’t a politician – turned out to be his biggest weakness too. There is an immense amount of truth in what Jack says, but maybe not in the way he meant it. Murray means that a more seasoned operator – a Gay Mitchell for instance- would have met McGuinness’s attack head on. As soon as McGuinness mentioned the cheque, Gallagher should have countered with a quip about fundraising or NorthernBank or whatever else would shift the spotlight. I have been a student of Jack’s when it comes to media and PR and he is the best in the business. Gallagher’s polished media performances were a testament to his great skill and attention to detail in preparing his client. But I am of the opinion that both he and Gallagher took their eye off the ball a little and left the door open for McGuinness. Gallagher’s weaknesses were twofold – his FF past and his business dealings. He seems to have made forensic efforts to ensure that his business dealings were all either above board or corrected and in truth there was little in them. 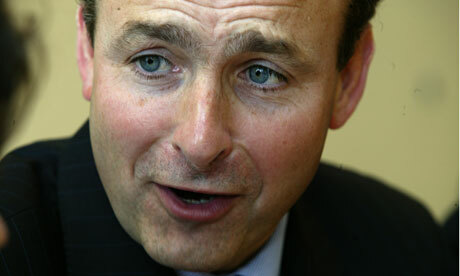 His distancing himself from Fianna Fáil wasn’t nearly as effective. Time may heal all wounds, but the public still remembers what Dev’s party did to them. Gallagher shrewdly left the party and cooled off before declaring himself as a candidate, but it wasn’t enough. As ever in politics, there is no black and white, and Gallagher obviously didn’t feel comfortable condemning the party for its astounding stupidity in destroying the country. Instead, he tried to give the impression that he was a lot further removed from it than he actually was. Bad move. When McGuinness placed him at the scene of the cheque on the Frontline debate, all of a sudden Gallagher was stuck, and the reasonably innocent business transactions started to look like the underhand actions of a Fianna Fáil bagman. Once that happened, it was all over. 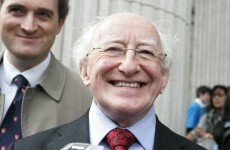 Michael D- you'd be smiling too. And there, waiting in the wings, was Michael D.
Ireland’s ninth president ran a campaign of almost total silence- no hype, no grand visions, his closet forensically cleansed of skeletons. Instead, he let others do the dirty work for him. McGuinness delivered the hammer blow on Gallagher, Norris twisted the knife (‘I think the mention of envelopes was unfortunate’) and Davis called for him to explain himself. By midnight Monday, the dragon was slain. All the while, Michael D stood there looking presidential, his poet’s trap firmly shut- throughout Gallagher’s spectacular rise and fall, he said nothing. As quickly as Gallagher rose, he fell again. Michael D was back at the top of the pile. Order was restored. Gallagher is by no means finished in public life, but even his renowned confidence and positivity will have taken a battering. He may not have won this race, but with the lessons learned here, don’t rule him out winning the next one. Travis: "You talkin' to me?". 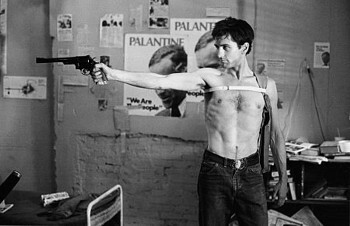 Martin: "No Travis, I'm talking to the other madman with the gun..."
The hardest part of not living in Ireland is not having access to the Sunday papers in all their chaotic, supplement-filled glory. I miss having a big bunt of them thrown down on the breakfast table like a gauntlet every week, challenging you to digest them alongside your black pudding. The worst of it is that I miss articles like this one by Jen O’Connell about why she won’t be voting for Martin McGuinness – not because I agree with her entirely (I don’t), but because of some of the important points it raises. There is one in particular that never seems to see the light of day, and it gets back to the key question of all the coverage of the election- what are we being asked to believe about the candidates? Much is made of McGuinness, what he says and when- what exactly does he think of the state he wishes to represent? When did he leave the IRA? Who does he think he will be representing? When did he condemn the murders of Gardaí? All these questions miss the most pertinent of all, and that is when Martin McGuinness speaks, who is he speaking to? It’s not news to anyone that, every time Martin McGuinness opened his mouth during his political career, he was taking his life in his hands. What most people don’t seem to realise is that he has been as much at risk from a violent split within his own ranks as he has been a target for the British or the loyalist paramilitaries. Judged on his part in the peace process, McGuinness’s refusal to publicly condemn the IRA and its attendant atrocities is not a tacit acceptance; it is more a strategy for the preservation of both himself, the IRA and the party. It is always taken for granted that “the Armalite and the ballot box” was a philosophy, rather than the day-to-day political reality of running Sinn Féin and the IRA for many years. When they were speaking publicly, McGuinness and Adams weren’t speaking to us- they were speaking to them, their colleagues in the Republican movement who didn’t believe or trust the British or Irish governments, or anyone else for that matter. There are a few no-go areas if you wish to survive in the minefield of Republican rhetoric. You do not tarnish the memory of certain heroes or their deeds. You do not question the validity or legality of the armed struggle. You do not (until recently) condemn any acts carried out in the name of either of them. McGuinness is no Ché Guevara, nor is he a Nelson Mandela, but he has done his bit for peace. It was Adams and McGuinness, among others, who realised that the Long War was not going to be won by either side. It was Adams and McGuinness who delivered the IRA to the negotiating table. It was Adams and McGuinness who created a situation where the guns of their comrades- and maybe their own- could fall silent for good. None of this could have been delivered by John Hume, John Major or Ian Paisely. And none of this could have been delivered had Adams and McGuinness gone around publicly condemning the very people they were trying to coax out of the shadows. And as she mentions in her article, Jen herself has witnessed what happens when violent Republican groups split away and carry on the fight by themselves. What happens is atrocities like Omagh- carried out by the dissident Republicans of the Real IRA, who never boarded the peace train with the rest. For some reason, what we are still being asked to believe about McGuinness is that he is a violent and dangerous man because of his IRA past, when all the evidence points to the fact that he has put it all behind him. As I have previously written, McGuinness is probably still unelectable for precisely the reasons Jen mentions. But even if we are never going to vote for him, we should acknowledge that the political reality in which he operated was entirely different from what most democracies would be used to. And for their part, if Sinn Féin are ever to be properly understood in the south, and if they are ever to become electable, they need to do a better job of of explaining not just why they did what they did, but who they were talking to when they weren’t talking to the rest of us. Such was the initial muted reaction to his candidacy, it’s as if the papers couldn’t believe that Sinn Féin would have the audacity to nominate Martin McGuinness for the presidency. 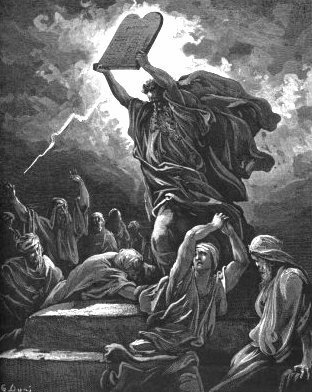 The Sunday papers came and went without much comment, but as the week wore on his opponents became more and more vocal. The latest to question the Sinn Féin candidate’s suitability for the Aras is none other than Gay Byrne, whose rampant ego almost led him into a campaign backed by a Fianna Fáil party that bankrupted the country. Byrne, like many others, asked the simple – and simplistic – question; how could a former terrorist with blood on his hands be our president? The fact that Eamon de Valera was sentenced to death for his part in the 1916 Rising seems to have been forgotten. There is not a shadow of a doubt that McGuinness was heavily involved in the IRA at a time when it was carrying out some of the worst atrocities in the history of our islands, but he is not alone. There are plenty of other democrats guilty of war crimes still roaming the free world, many of them still in office. But that was a different time and place. Is he likely to pick up a gun again in the near future? Hardly. However distasteful we find it, the truth is that at certain times in history, the honest, supine law-abiding citizen has a need for men like McGuinness – the tough guys who operate in a moral grey area well beyond our own comfort zone. The sort of men who kill people and bury them in shallow graves without a fair trial. The sort of men who make other men drive bombs into barracks before blowing them up. The sort of men that prime ministers declare in public that they will never negotiate with, all the while inviting them in by the back door. Though there are undoubtedly people on both sides of the paramilitary divide that enjoyed killing for the sake of it, I’d doubt McGuinness is one of them. At the time of the civil rights marches, many in the Republic had already abandoned the nationalist community in the north to their fate , and if there is one thing that my dealings with our cousins in the north has taught me, it is that we in the south have little or no understanding of what it was like to live there in the darkest days of the Troubles. We’ve had our fleeting experiences of bombs on Talbot Street and army checkpoints and armed Gardaí as the IRA and the INLA robbed banks and took hostages. We didn’t care for it much. We also failed to notice that this was what life as like in the north for the best part of thirty years, with one exception- the security forces in the north were particularly hostile to one section of the community they were tasked with protecting. Given our limited experience and our limited attempts to understand and assist, we are in no position to pontificate either way. 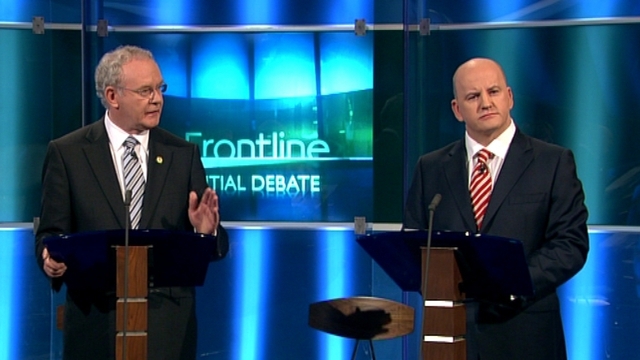 McGuinness has come a long way since his days of running around Derry with a gun. The same cannot be said for the rest of us, especially in the south. Would he be my choice as president? Probably not, but part of the peace dividend for both sides is that Sinn Féin and the IRA would only engage in peaceful democratic means in the future, and this is what McGuinness seeks to do in running for election as our president. The candidacy of McGuinness is not Sinn Féin’s reward for embracing democracy – it is our reward for allowing them to come in from the cold. Let’s not push them out again.